When I originally posted pictures from the Alfred Angelo Bridal show a couple of months ago, many of the responses were not so, well, fabulous. Most of that response had nothing to do with the dresses but more to do with the emaciated looking models. While I was on Instagram this morning, after work, I noticed new pictures on Alfred Angelo Bridal’s Instagram! These pictures are the artist view points of some of the gowns from the Alfred Angelo Disney Bridal Collection 2016! I thought you might like to see the dresses in a different way and perhaps it would give you a different viewpoint. I loved this dress on the runway but did point out, in my original article, that it would not work on my body type. You can’t tell that in this picture, of course. You don’t really get a sense of the full gown. The picture, however is stunning. Clearly, this is Jasmine’s gown, Style 261. This was one of my faves on the runway but I am changing my mind in these pictures. 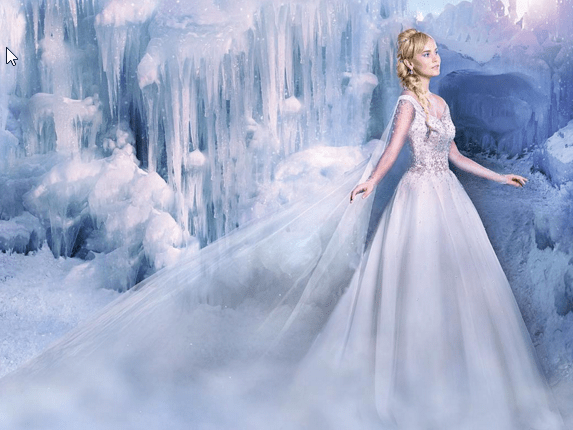 This is Sleeping Beauty’s gown, Style 260. 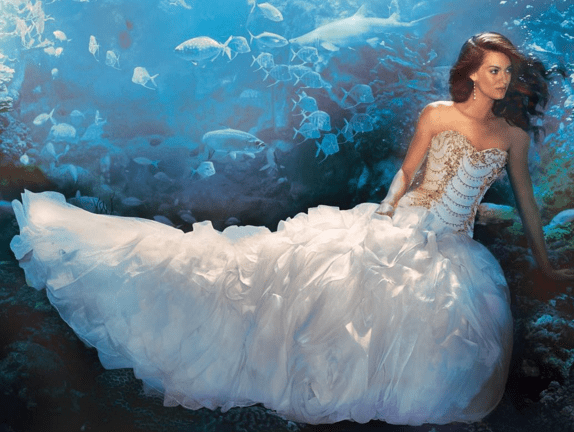 It is lovely but I feel like the billowing, tulle layers remind me of Belle and not necessarily Sleeping Beauty. I love the side view of this Elsa gown, Style 258. The train is more of a cape and it is completely different from the other gowns. I find it more wearable than last year’s but I am torn, now, as to which I like better… this year’s or last year’s. Ariel is my favorite Princess but I didn’t like the dress on the runway at all. I love this gown, Style 263, in this photo. It is perfection. I am still prone to the candy apple red gown from last year but the waistline of this Snow White gown, Style 256, could win me over. Unfortunately for me, Rapunzel’s photo has not been released and it was my absolute favorite gown. 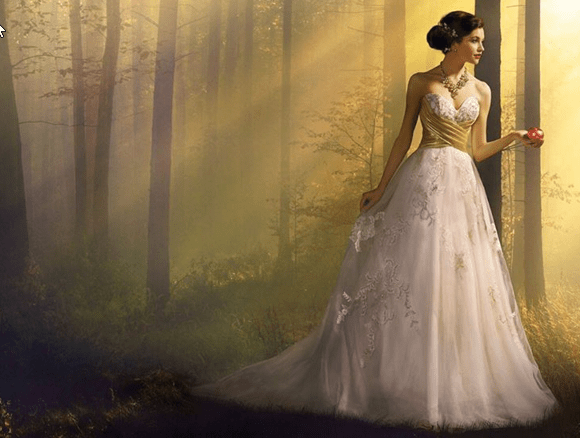 If you are looking for the entire collection of Alfred Angelo Disney Bridal, you can read the earlier article with all the gowns and much more detail HERE. I was on the hunt for my bridal gown when the Collection was released and I have since found my gown. Do you think I picked one from this collection? 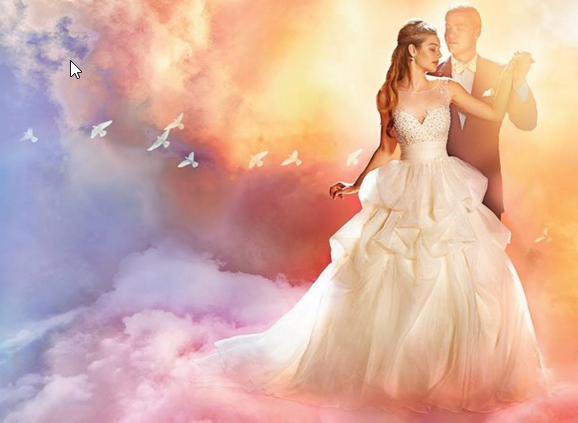 Do you enjoy the Alfred Angelo Disney Bridal Collection of 2016? Which gown is your favorite? Let us know in the comment box below! Mickey Crochet Hats Are The Perfect Accessory For This Cold Weather!